Whenever a student decides to prepare for any examination, her/his first and foremost curiosity is about the type of questions that he/she has to face. We feel great pleasure to present before you this book. 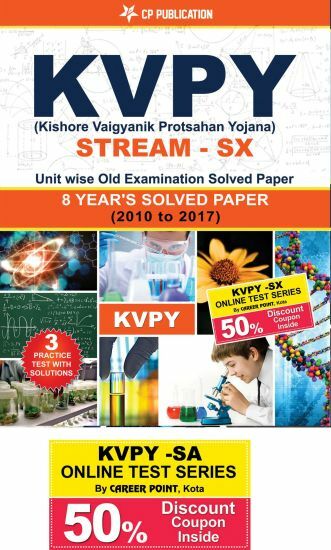 We have made an attempt to provide unit wise collection of questions asked in KVPY with answer and solutions to majority of questions. Solutions to the questions are not just sketch rather have been written in such a manner that the students will be able to understand the application of concept and can answer some other related questions too. We firmly believe that the book in this form will definitely help a genuine, hardworking student. we have tried our best to keep errors out of this book. Comment and criticism from readers will be highly appreciated and incorporated in the subsequent edition. We wish to utilize the opportunity to place on record our special thanks to all team members of Content Development for their efforts to make this wonderful book.